Did you know that blogging can be big business? 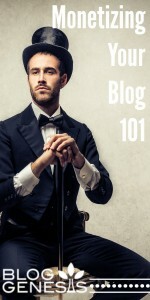 You don’t have to be a “famous” in order to make significant income from your blog. There are almost limitless ways that someone can earn money from blogging. The most critical piece of the puzzle is in doing it in such a way that your readers are either not aware of it, or not put off by it. You want their primary experience as a reader to be as positive, valuable, and not cluttered with annoying banner ads and pop ups. Below are 54 ways to make money with your blogging business! Self-advertising is a method that trumps all others in terms of reader friendliness. By selling your own ads, you’ll get complete control and will be able to determine the method of ad serving that your readers respond to the best. Sell your own ads: OIO publisher is a great wordpress plugin that will cut out the middle man and allow you to directly manage and sell ad space on your blog. Individual Advertisers: Contact the major players within your niche or industry offering a deal on ad space within your site, focus on highlighting how your site directly targets readers within their market. Offer a Media Kit: Make it easy for advertisers to buy ad space from you. Create a kit that includes your rates, ad policies, demographics, traffic, testimonials and contact information. Offer Free Ads: To get things started, seek out competitive companies in your niche and give them free ads for a specific amount of time. Ads are generally the bread and butter of bloggers. However, they’re also the most likely to irritate readers. To keep a happy balance, focus on relevance and make sure that you’re not overloading your blog with too many ads. It should go without saying that you should absolutely not use every single one of these ad programs, either. 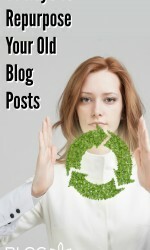 Rather, pick a handful and rotate them until you find what that works the best for your blog. Yahoo! Publisher Network: Display contextual ads on your site via the Yahoo! Publisher Network. ValueClick Inc.: You’ll get quality advertisers, support and advanced technology from ValueClick. Chitika: Promote products and provide both relevant content and comparative shopping to readers. You’ll get paid per click. BlogHer: They have high traffic requirements as well as require that no other ads display on pages where their banners are posted. AdBriteInc. : Using AdBrite, you have the option to approve and reject ads that will appear on your blog, and you can even use it to sell directly to your own users. BidVertiser.com: These ads are highly customizable, and you have the option to block any ad you don’t want displayed on your blog. Blogads: Get invited to this exclusive network of bloggers, and you’ll have high-quality, relevant advertising on your blog. Casale Media Inc.: Get high-quality advertisers and control with Casale Media. Sponsored posts can sometimes rub readers the wrong way, usually because they’re blatant cash grabs, but it doesn’t have to be that way. Use these methods and programs that allow you to carefully pick and choose what you’ll write about. That way, you can stick to products and services that are relevant to your readers and that you truly support. ReviewMe: Pick and choose your ReviewMe posts and earn up to $200 for each. PayPerPost Inc.: Use PayPerPost to earn money from writing about the sites, products and services that you support. Payu2blog.com: Sign up with this program, and you’ll get above-average pay, as well as a steady stream of work. SponsoredReviews.com: Review items in your own tone and as critically as you’d like with SponsoredReviews.com. Blogsvertise: When you get an assignment for Blogsvertise, you’ll just put three links in a blog entry. This is a great way to make advertising look natural and unobtrusive. Most bloggers end up dropping product names at one point or another. 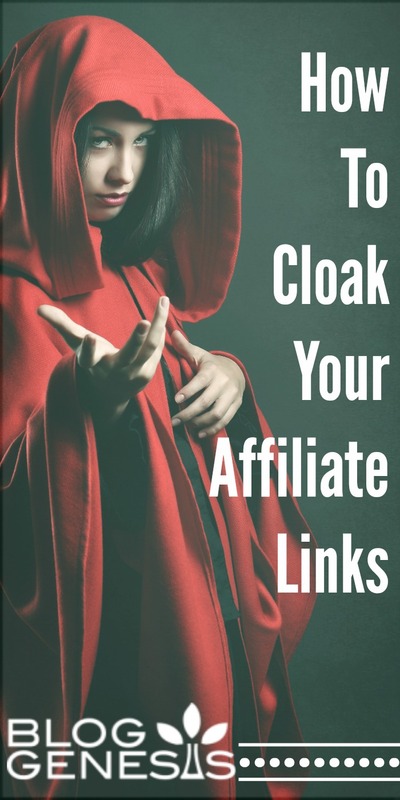 Whether it’s software, books or trinkets, you’re probably linking to them for free. Affiliate programs offer a way to profit from your name-dropping, often without changing much more than the URLs you point to. Keep affiliate programs reader-friendly by sharing only products that are truly relevant to your discussion and not going overboard with the quantity. shareasale.com: Sign up with this network and choose which merchants you’d like to promote. Amazon Associates: Amazon Associates earn up to 10 percent in referral fees for revenue made through blog links. Commission Junction Inc.: You can promote a wide variety of products through Commission Junction, so you’ll be able to find something that’s relevant to your readers. LinkShare Corp.: LinkShare’s affiliate program will hook you up with programs for companies like Apple Inc., Dell and Disney. ClickBank: Through ClickBank’s program, you choose the products you want to promote. Recommendations: If you’re a fan of a particular product or service, why not ask them directly to pay you for linking to their site? Paid content is hands down the best monetization method for bloggers that regularly offer useful information. As with all monetization methods, it’s all in the approach. Don’t create misleading previews of content that requires a membership to read in full. Rather, devote special sections of premium content to readers who are willing to pay for the information. This is a great follow up article to check out if your blog isn’t earning money. Selling an E-Book: Whether it’s a compilation of your best tips or a new idea altogether, an e-book is a good, reader-friendly way to package content. White Papers: Like e-books, white papers are a smaller, more technical version of your content. Miniguides or Video Workshop: If you’ve just run a particularly helpful series, package it up into a miniguide. Tutorials: Gather your knowledge and compile it into a tutorial that relies upon your expert advice. Build a Membership/Online Course: Whether you’re providing access to published items or just ad-free content, make sure you’re delivering a product that your readers are willing to pay for. Podcasts: Podcasts may be a novelty to your readers, and many of them are probably willing to pay to be able to hear your entries on the go. Videos: Like podcasts, videos are value-added extras that readers may be willing to pay for. If you’re a well-loved blogger, there’s a good chance that your readers would like to show their support. Give them what they want and make money by taking advantage of merchandising opportunities. CafePress.com: This perennial favorite makes it easy for you to put your blog’s logo on shirts, bags, coasters and other items. Self-Published Books: If your readers like your content, they may want to have something they can own offline or even share with friends. Create a book with self-publishing services like Lulu, and you’ll earn profits even without a huge book deal. It never hurts to be straightforward about earning money from your blog. Ask your readers for donations – in a polite way, of course – and the ones that truly value your work will likely be more than willing to help support your ongoing success. PayPal: PayPal’s system allows you to place a donation button on your blog. Amazon Honor System: Like PayPal, the Amazon Honor System allows you to accept online donations. Amazon Wish List: Although it’s not cash, asking readers to buy you items from your Amazon Wish List will save you from having to buy things yourself. Again, they’ll feel more rewarded knowing they’ve given you something tangible. Becoming a successful blogger means becoming an expert in your field. You can use this status to earn money through opportunities, while increasing the value you provide to your readers. Writing Gigs: By showcasing your writing talents on your blog, you’ve provided a living resume to any blog network or news site that might be interested in hiring you. Seminars and Workshops: As an expert, you can invite readers to visit with you in person for seminars and workshops. Bloggers for Hire: Get yourself hired to blog for a corporate Web site. Blogger Jobs: Like Bloggers for Hire, Blogger Jobs can connect you with sites in need of a blogger. Go Offline: Take your blogging skills offline as a columnist in a newspaper or magazine. Guest Blogging: Fill in for fellow bloggers as a guest writer for a nominal fee or just future reciprocation. Job Board: If you’re an industry leader, set up a job board that your readers can use to hire or be hired for positions in your field. Create a Radio Station: With a radio station, you can feature podcasts, sell showcase spots to budding artists and even sell audio advertising. Consulting: If you’ve found success as a blogger, you probably have a lot of knowledge to share about mastering both the Internet and your field. Freelance as a consultant and get paid for sharing what you know. Speaking: Your blog can get your noticed by industry leaders and can land you speaking engagements at conferences and meetings. 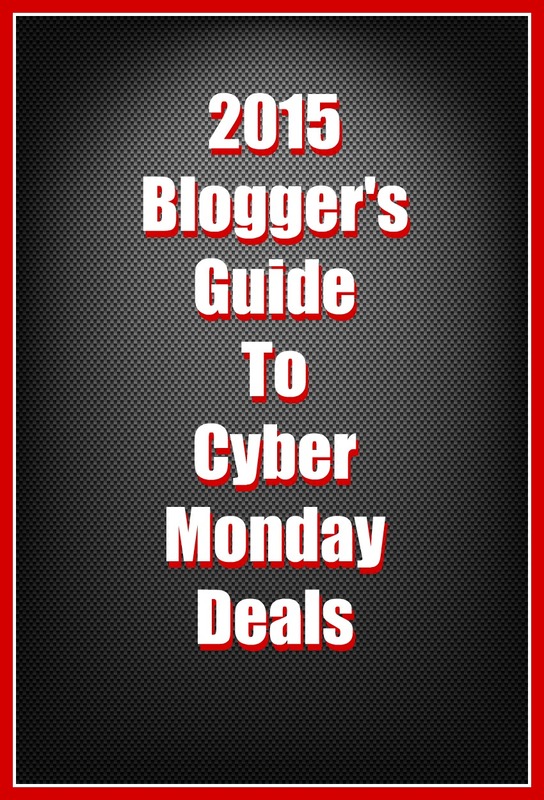 Book: A number of popular bloggers have landed lucrative book deals. Interviews: Share your knowledge on a new medium and go on radio or TV interviews. The benefits, monetary and otherwise, of writing a blog extend well beyond the Internet, particularly if you operate an offline business. Take advantage of these benefits using the following methods. Market Your Services: Your blog is a great forum for marketing your business. Post about current promotions, new interests and other business-building information. Create a Voice Behind Your Business: A blog is a great way to grow your business through personal dialogue. By presenting yourself as a friendly authority, your business becomes more approachable. Deepen Customer Relationships: Beyond providing a friendly voice, a blog can help you connect with customers. Link to their blogs, write about their interests and give them special attention in your writing. The next step? 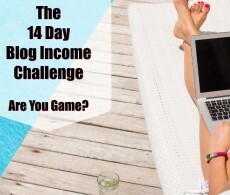 Join the Blog Income Challenge! Thanks for pulling together such a comprehensive list of the many options out there to make money on my blog, now I just have to dive in and do it! Great list! Thanks for compiling. I’m in the research phase for my blog so can’t wait to get started!